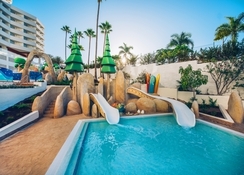 The Hotel Iberostar Bouganville Playa is a four-star destination in southern Tenerife. It is celebrated hotel among couples and families due to the services and facilities offered, such as outdoor swimming pool, children’s pool, fitness centre, meeting rooms, live cooking, golf course, beauty salon, mini club, outdoor & indoor games, selection of food & beverages, location, etc. 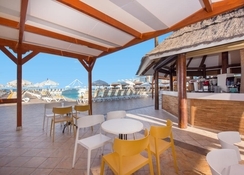 The rooms and suites at Hotel Iberostar Bouganville Playa are specifically designed for couples and families, where you will find extra privacy with exclusive access to the rooftop solarium, whirlpool bath and terrace. After choosing your accommodation all that you have to do is to check out the fantastic bars and restaurants offering wide-ranging national and international delicacies. 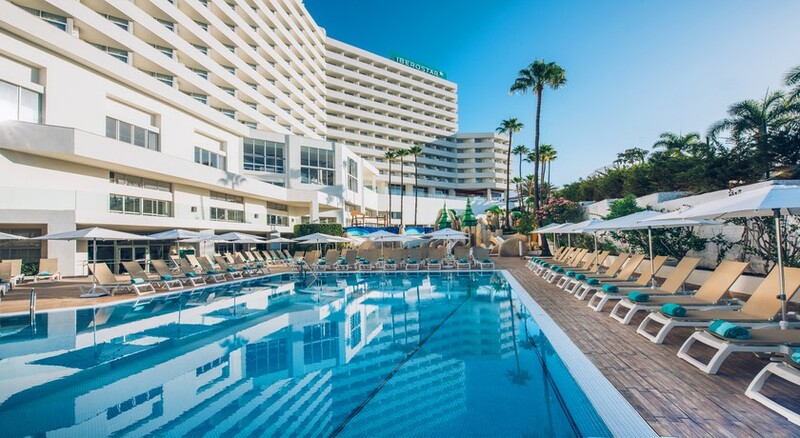 Located on the beach of Playa del Bobo Beach, in Costa Adeje (Tenerife), the Hotel Iberostar Bouganville Playa is a huge property that is spread across 14 floors. Built only 50 metres from the beach, it offers luxurious rooms. 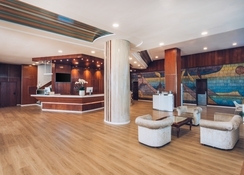 The hotel’s exterior and interior are designed to offer guests maximum comfort and satisfaction. Centrally situated, there are many restaurants, bars, clubs and shops around the hotel, especially on the main strip, which is only a few minutes on foot. While you are here, don’t forget to go on a coastal excursion! The South Tenerife Airport is only 16.1km from the hotel. The Hotel Iberostar Bouganville Playa houses offers luxurious guestrooms divided into: Basic Double, Double, Side Sea-View Double, Sea-View Double, Priority Location Double, Junior Suite, Star Prestige Double, Star Prestige Priority Location Double, Star Prestige Junior Suite, Family Room and Interconnecting Double. Both rooms and suites are beautifully decorated and furnished with air conditioning, mini bar, Wi-Fi internet, TV with satellite, private bathroom with bath amenities, hairdryer, telephone, safe deposit box, private balcony and more. Each room can accommodate three guests and extra beds are available upon request. The hotel features two restaurants and three bars that serve Canarian, Spanish and international cuisine. There are four different boards offered for food and drink that include all-inclusive, half-board, bed & breakfast and rooms-only. 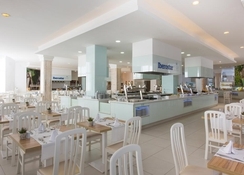 The main restaurant serves a wide variety of breakfast and dinner in buffet style, while Barbacoa restaurant serves set lunch between 1pm – 3pm. The poolside bar offers cocktails & mocktails and snacks & light bites from morning till sunset, and in the evening you can head to the Lanzarote Bar to sample and savour premium international and local liquors. The Hall Bar is an ideal destination for hot and cold non-alcoholic beverages. While staying at Iberostar Bouganville Playa, you can engage in lots of fun activities and sports. On site sports are billiards, bowling, table tennis, darts, bowling, volleyball, gymnastics, Pilates, yoga and more. Outdoor swimming pool, fitness centre and the spa service are also available for a little treat, if not you can visit the beach for some escapades such as sailing, surfing, jet skiing, water skiing, wind surfing, fishing and banana boat rides. Golf course, shooting range and archery site are also located within 3km from the hotel — but above all don’t miss the incredible scuba diving (diving courses are also available for beginners). And if you think you need some time on your own, the little ones (4 – 12 years) can join the mini cub, where tons of games and activities are conducted. Lovely friendly staff, very clean and spacious rooms.